Pelenna Patchworks: New Moda Trade Winds jelly roll and layer cakes now in, plus quilt panels! New Moda Trade Winds jelly roll and layer cakes now in, plus quilt panels! 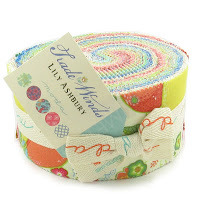 Brand new on the website today we have a new Moda jelly roll and layer cake - the Trade Winds range by Lily Ashbury for Moda, in stunning bright colours and modern designs, yet evoking the historic trade routes of Zanzibar! 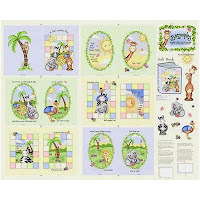 Also new to the website are several quilt panels for cot quilts and fabric books - if you're looking for a quick project for a new arrival, look no further than these gorgeous panels, featuring Winnie the Pooh, Bazooples and Cute a Saurus dinosaurs, all from Springs Creative! 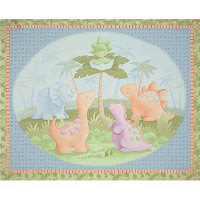 New Art Gallery Fabrics prints now in! Website launch prize draw winners drawn!